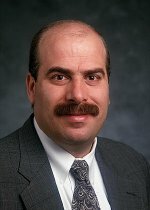 Congratulations to Moe Khaleel, director of the Computer Sciences and Mathematics Division, who was recently appointed to the editorial board of Computers, Materials, & Continua. CMC publishes original research papers of reasonable permanent value in the areas of computational materials science and engineering, at various length scales (quantum, nano, micro, meso, macro) and various time scales (picoseconds to hours). Both structural as well as functional materials, composite materials, and inorganic as well as organic materials, are of interest. Papers which deal with computational modeling of the mechanics, physics, chemistry, and biology (and their interactions) of all modern materials are welcome. Papers that advance the paradigm of materials by design from the bottom up, and top-down, are strongly solicited. More information can be found at the CMC: Computers, Materials, & Continua and the editorial board.